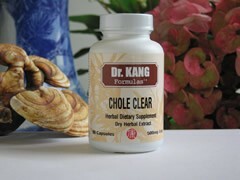 To be used as a supplement to a balanced diet when high overall blood cholesterol levels present. From the Western scientific perspective the fate of cholesterol held in LDL carriers is to be ingested by macrophages in arterial walls and ultimately to end up as plaque. In this process the arteries become less compliant and smaller in diameter leading to higher blood pressures to achieve normal blood flows. The fate of cholesterol in HDL carriers is to be taken up and metabolized by the liver. HDLs have been shown to scavenge cholesterol from LDL carriers and plaques. Saturated fat in the diet prevents normal HDL uptake and activity and is indicted as the main cause of atherosclerosis in normal individuals. Maximizing the liver's ability to produce HDL carriers and to maximize their function in the blood can reverse some of the plaque development and high blood pressure in many individuals. From the Traditional Chinese Medicine perspective, elevated cholesterol levels relate to the health and balance of the Liver, Kidney and Spleen. The excessive rise of Liver Yang appearing as "moving", changing and "sudden" wind are classified as the manifestation of Liver disorders: deficiency of Liver Yin and Liver Blood. This may lead to the Spleen losing its normal transporting function which will affect the Kidney resulting in an insufficiency of the Kidney Yin. The Kidney then cannot nourish the Liver which increases the excessive rise of Liver Yang. The target of this formula is the otherwise normal individual who has high blood cholesterol, and must lower their cholesterol levels to prevent pathology from occurring. 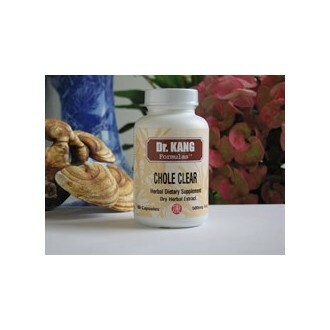 This formula very effectively acts on cholesterol metabolism to bring about better HDL/LDL ratios and better overall blood cholesterol readings. This formula also treats dizziness, sensation of heavy chest, and increases the anti-coagulation properties within the blood. Changes in exercise and diet also have powerful consequences for changing HDL/LDL ratios as well as overall blood cholesterol readings.